The Mission of Love INC – A movement of Christian Churches working together to show God’s love to the poor and the needy, transforming lives and neighborhoods. Jobs and food are just two issues facing millions of hard-working people in America. But the needs run deep. And the consequences of living in need can last for years. Poverty is experienced not just as lack of money, jobs, or material things, but the lack of choices, mobility, improvement, participation, and self-esteem. For too many, poverty is shaping their lives in distorted ways, and moving out of poverty becomes not just finding a job or an apartment, but restoring a spirit, developing a healthy body, and renewing a mind. Nearly 50 million Americans live in food insecure households. They skip meals, go hungry, and eat foods lacking in nutrition. As one of its top priorities, Love INC works through churches to provide food for people in need. Churches operate food pantries, while other Christians deliver groceries or work to grow community gardens, and farmers donate meat and dairy. 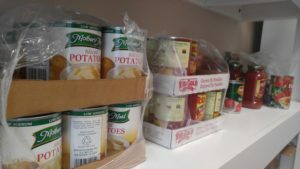 Other programs include school breakfast or food backpacks for children, and cooking and canning classes to help stretch food budgets. When money is scarce, clothing a family becomes a challenge. Some children may go to school wearing their pajamas while others suffer through the cold of winter without warm jackets or proper shoes. 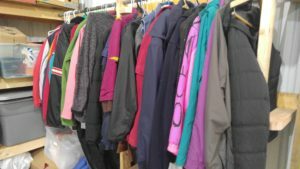 Love INC church networks provide clothing to people in need including clothes closets, back-to-school, baby items, career clothing, boots and footwear, and lovingly handmade hats, gloves, and scarves. But keeping clothes clean means more money. Many Love INC affiliates also provide donated washers and dryers or laundry services to people in need. More than 14 percent of all homes in the United States were in foreclosure by the end of 2009 and hundreds of thousands of homes continue to go into foreclosure each month. And about 2 million people were homeless for at least part of 2009. Habitat for Humanity reports the growth of poverty and a shortage of affordable housing has left more than 95 million people facing desperate housing needs. Love INC affiliates help people find shelter or keep their current home by helping to offset costs. Tapping into the skills of local Christians, they serve families in need in ways such as home repairs and furnishing homes with donated goods. In some communities, Love INC operates transitional housing centers to help people who need shelter and supportive services. Nearly 51 million people are without health insurance, and lack the option of an early diagnosis, preventive treatments, or needed prescriptions. Millions of children go without annual checkups. In some Love INC communities, Christian doctors and nurses come together, supported by area churches, to offer their skills in Christ’s name to the poor and sick. Some Love INC affiliates also offer assistance with medical equipment and prescription medications. To help people in need achieve self-sufficiency, Love INC moves beyond the provision of basic needs to offering opportunities for life-skills development. Dedicated mentors work with individuals and families over extended periods, and volunteers teach skills in budget management, using a computer, English as a Second Language, parenting, job search, or life skills for personal growth. Loving in Christ’s name means caring for people down to the smallest detail. Love INC seeks to surround people in need with broad support. For example, school supplies, tutoring, and books, or donated bikes, musical instruments or sports equipment can have a tremendous impact on the direction and future of a child’s life. Gas vouchers or car repair services can offer parents the gift of transportation—sometimes the one thing needed to keep a job. A donated hair cut by a professional stylist can lift a spirit. 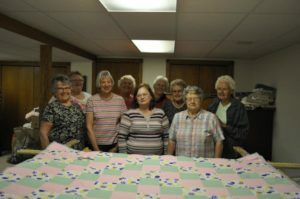 The extra care demonstrates the Body of Christ’s deep love for their neighbors in need.